Marmion Marine Park was Western Australia’s first marine park, declared on 13 March 1987. It is home to a diverse range of marine life, which inhabit the many limestone reefs, shallow lagoons and small islands. 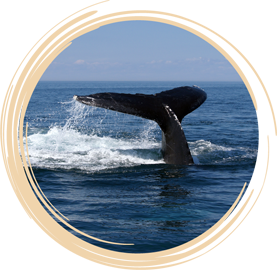 The Marine Park also provides important habitat for seabirds and marine mammals, including bottlenose dolphins, Australian sea lions and the migrating humpback whale. The Marine Park took its name from the suburb of Marmion, which was named after an early settler Patrick Marmion (1815 – 1856), who operated a whaling station in the area in 1849. Marmion Marine Park is located between Trigg Island and Burns Beach, and extends five kilometres out to sea from the high water mark.